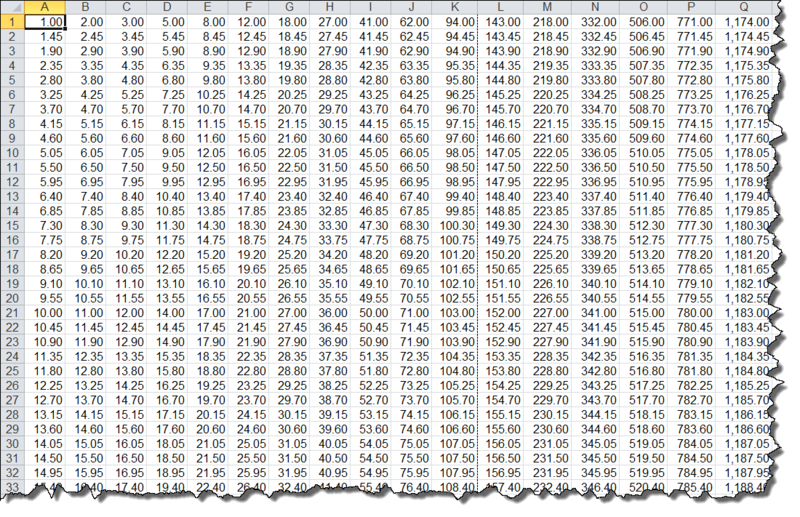 As its name implies, Microsoft Excel’s Normal view is the view that you normally see when working in Excel. The following is a screen shot of the normal view. 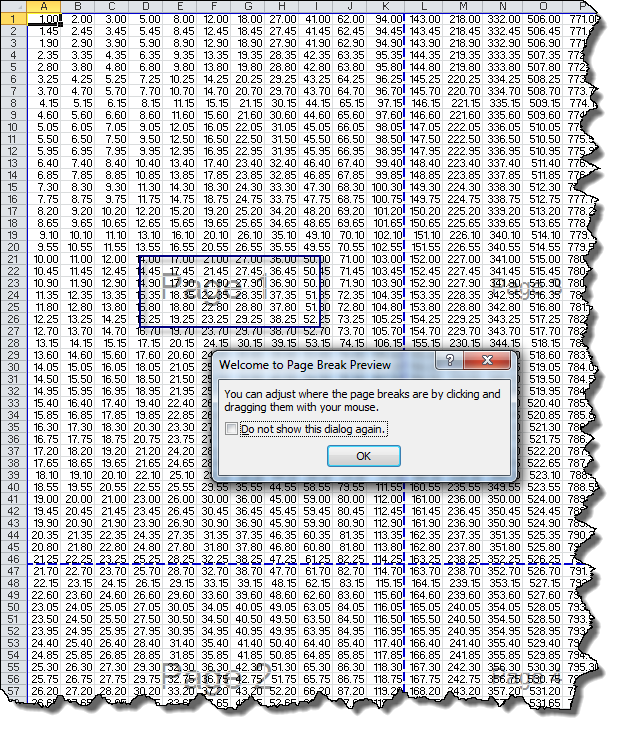 Excel has also offered the Page Break Preview view. 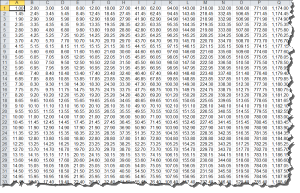 This view will show you how your rows and columns will be split across pages when the spreadsheet is printed. Notice the faint ‘Page x of y’ in the middle of each printed page. Also, the dialog box instructing you as to how you can relocate the page breaks will always appear unless you check the ‘Do not show this dialog box again’ check box. 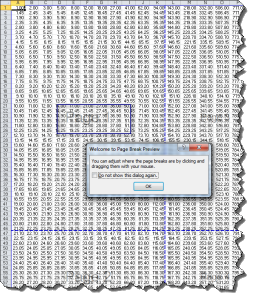 Starting with Excel version 2007, Microsoft has also included a Page Layout View option. This view is similar to Page Break Preview, but more powerful. As you can see from the next screen shot that in addition to showing where your rows and columns will be split across pages, this view contains horizontal and vertical rulers for setting the margins. This view also lets you directly enter a header (or footer) without having to go through the Page Setup dialog box. When you click the ‘Click to add header (or footer)’ area of the view, two things happen. First, the text disappears so that you can add your header (or footer). Second, the ‘Header and Footer Tools Design’ tab is added to the ribbon. This toolbar lets you add some header (or footer) elements and change some of the other options. The following screen shot shows the effect of clicking on the File Path icon while the mouse cursor is in the center section of the header. Once you get used to the Page Layout view, you may find it easier to use than the ‘old’ Page Setup dialog box.